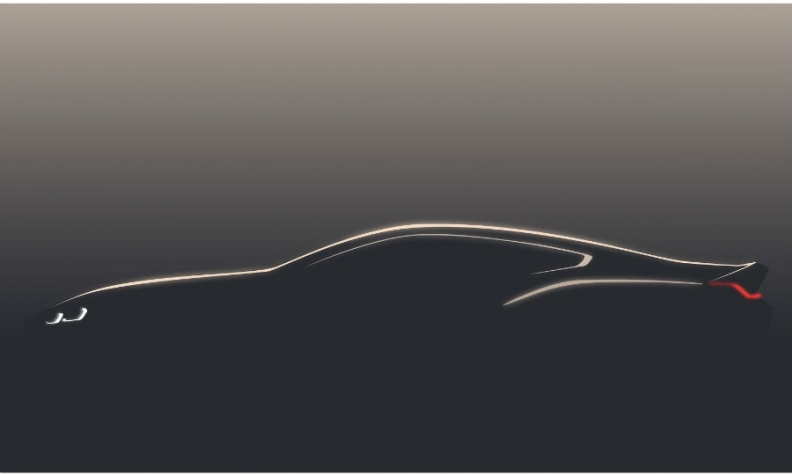 BMW released a teaser image of the 8-series coupe. FRANKFURT -- BMW Group said it will launch an 8-series model in 2018, reviving its upmarket coupe line as part of a broader strategic shift to focus on higher-margin sports cars rather than compact vehicles. "The 8-series Coupe will debut next year," CEO Harald Krueger told shareholders at the company's annual general meeting in Munich on Thursday. "We are refreshing our entire product portfolio and strengthening the performance side. Our strategy will focus on the luxury segment, where there are margins to be earned," Krueger said. BMW aims to increase revenues in the luxury segment "significantly" by 2020, Krueger said. The 8 series will be based on BMW's 7-series range-topping sedan and will fill the gap between the 7 series and BMW Group's Rolls-Royce Wraith in the "150,000 euros-plus" range (about $165,000), according to company sources. A two-door coupe is planned to arrive in late 2018, and a convertible a year later. An M8 performance version is under discussion. A 12-cylinder version is also coming, sources last year told Automobilwoche, a sister publication of Automotive News Europe. BMW last built an 8 series from 1989 to 1999.